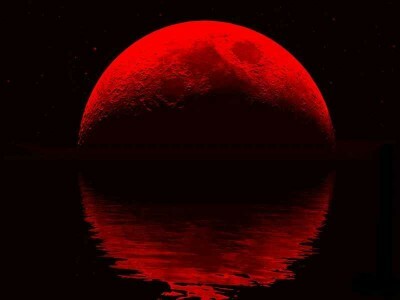 It is the red moon when it’s full. It’s a little bit of everything. It’s nice to use some of the lovely lyrics from Dawes’ second album, Nothing Is Wrong, which arrived over the summer, and which became part of our soundtrack for the last few months. Great River Radio went on hiatus for the summer but Brian and Dan were busy, with a little bit of everything: baseball, fishing, road trips, work, family reunions, long evenings and early mornings, heat, picnics with cold chicken and beer, surprises, celebrations, anniversaries, transitions. And a “little bit of everything” continues to describe the mix of music that you’ll be hearing this year on Great River Radio. As we begin our sixth season, we look forward to bringing to you once again our picks of the week – the new and the remembered, the local and the worldly, the unknown and a few of what we hope will be your favorites next week and next month. So, remember how we said last week was our first show of season 6? Funny thing about that … KUST has been experiencing massive technology issues. While this should not be surprising when you consider that KUST is an online station, Great River Radio also was chosen as a “test show” for capturing audio and converting it a downloadable podcast. The problems were many, but the DJs rocked on. Please note: There has been an ongoing problem with streaming the station. If you try to catch the stream and hear nothing but silence, you will need to upgrade the Quick Time software on your computer. Mac’s have not had an issue, but some PCs now need to have Quick Time 7.7. You can upgrade your QT software for free here: http://www.apple.com/quicktime/download. St. Thomas community members may have to contact the IRT Tech Desk (2-6230) to request an upgrade. 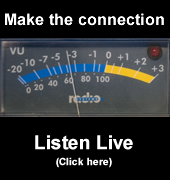 So, Great River Radio is going to have another go at this internet radio thing. Just think of last week’s reminder as the first alarm going off for season 6. You rolled over, hit the snooze button, and got another week of deep rest and relaxation before tuning into today’s debut show for season 6. Wake up! We’ll do our part by bringing you another great 90 minutes of new music. You’ll hear new tracks from Sondre Lerche, Tapes N’ Tapes, Dum Dum Girls, Neon Indian, The Tallest Man on Earth, Mates of State, Wilco, Gillian Welch, Dawes and Tom Waits. And we’ll report on some of local shows we caught from the past week, including music from John Hiatt, Girls, St. Vincent and Wild Flag. Finally, Great River Radio is very excited about a project that we’ve been working on for the last couple of months. As part of the “test show” for podcasting, almost the entire Great River Radio archive will soon be available for download/podcast via iTunesU. We are working with our tech department to unearth all available recordings and post them in a single location for your convenience. Starting tomorrow, listeners should also be able to download/podcast today’s show via iTunes. We are extremely pleased with this new offering, and will send you out details on how to access the archive and download/podcast Great River Radio at your convenience. Thanks again for your patience and loyal listenership. We really appreciate it! Great River Radio – Wednesdays 4:15-5:45 p.m. Filed under Great River Radio - Wednesdays 4:15-5:45 p.m.